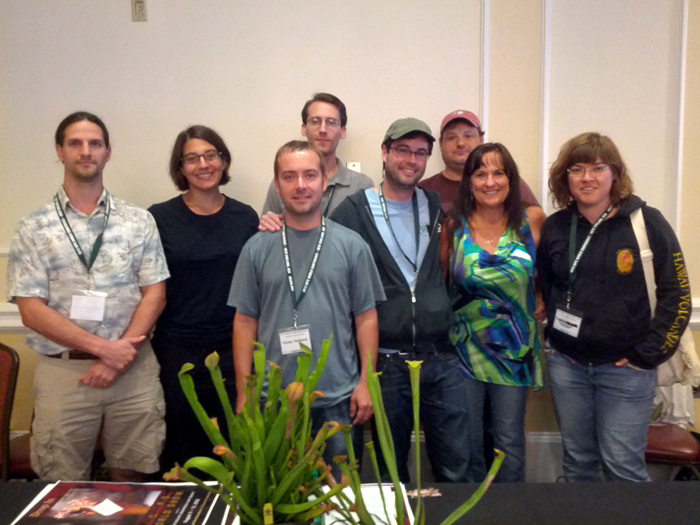 The NASC was recently assembled at the 9th biennial International Carnivorous Plant Society (ICPS) conference held at the Johnson and Wales University Inn at Seekonk, Massachusetts from August 11 to 13. 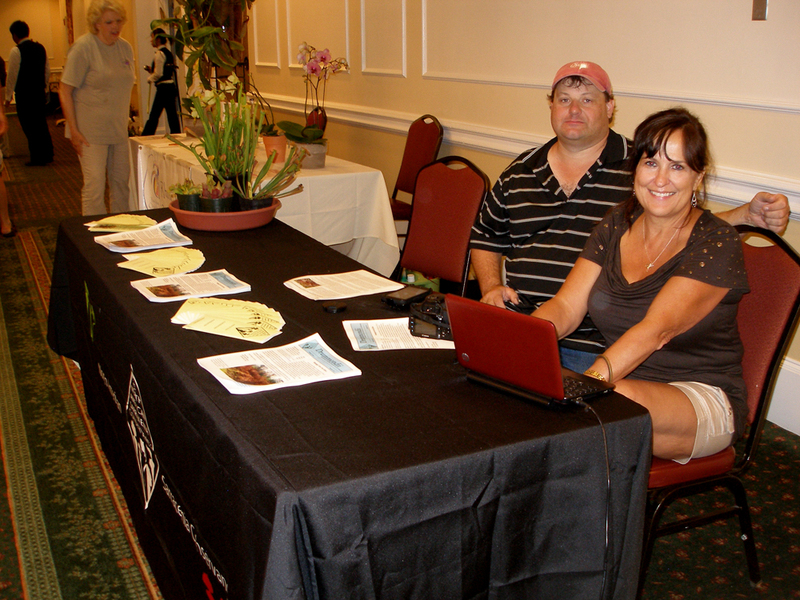 Many of the Board members were on hand to staff our booth in the main hall where the show and sale occurred. We answered questions and explained our mission to dozens of visitors to the show, including many people who were learning about carnivorous plants for the first time! In addition to the awesome time we had at the table, our president Emily Troiano, who also happens to be the vice president of the New England Carnivorous Plant Society and the co-organizer of the 2012 ICPS conference, found time to prepare and give a presentation on the NASC's mission, objectives, accomplishments, and current projects. Call us humble, but we think she did an amazing job and the question session after her presentation turned into something more like a roundtable discussion on conservation. The NASC Board and members, from left to right: David Schloat (advisory), Emily Troiano (president), Victor Holland (administrator of plant materials), Ryan Kitko (vice president), Matt Kaelin (member-at-large), Mark Todd (head of conservation), Sheila Stewart (treasurer), and Zuzana Srostlik (member). The NASC table at the ICPS conference: Mark Todd and Sheila Stewart. NASC Board members spoke with NECPS members throughout the day. Behind the table from left to right: Victor Holland, Mark Todd, and Sheila Stewart.